Mount Gay's Barbados plantation has been turning Bajan sugar into Caribbean nectar since 1703, making it the oldest rum distillery in the world. As a whiskey lover I was intrigued when I heard about their new Black Barrel range, aged in Kentucky-style charred-oak bourbon barrels. A small batch blend, Black Barrel's complex distillation process results in a full-bodied rum—more flavorful and robust than the norm. My favorite rum cocktail is the daiquiri, and while it's typically made with white rum, subbing in a darker blend results in a drink with a bit more character. 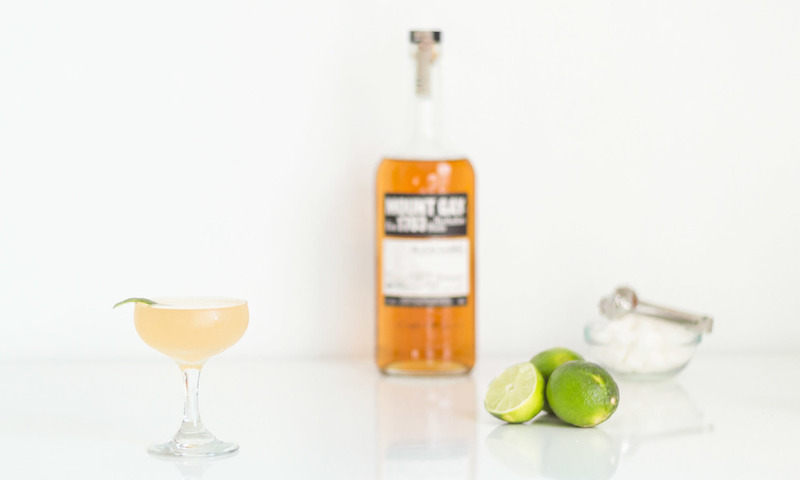 The Black Daiquiri is more textural and complex than the classic, and Black Barrel's savory oakiness and notes of pepper and spice offset the drink's more lighthearted elements of sugar and lime—a contrast that makes you feel like you're sipping pretty near the shores of the rum's native island. Fill a shaker with ice, 2 ounces Mount Gay Black Barrel rum, 1 ounce lime juice and 1 teaspoon simple syrup or sugar, and shake for 30 seconds. Let sit for 30 seconds, then shake for an additional 15 seconds. Strain into a chilled cocktail glass. Garnish with a lime peel.